Okay, we were going to do bed bug jokes for April Fool's, but...guess what! Bed bugs aren't funny! Or not to the sufferers anyway. The bed bug jokes were all really awful. Asbestos is not one substance, but a set of six minerals which separate into thin fibers and have heat, fire and acid resistant properties. The use of asbestos goes back at least 4500 years in Finland and was named by the Ancient Greeks. In the 6th Century, wealthy Persians would astound dinner guests, cleaning their asbestos napkins by throwing them in the fire. Charlemagne is believed to have owned a tablecloth made of asbestos. Famous explorer Marco Polo was reported to have been offered fireproof garments made of “wool from the mountains,” but were made from wool-like asbestos fibers. Asbestos use in the US began in 1858 and became ubiquitous during the Industrial Revolution. Asbestos has been used for such diverse products as: concrete and fireplace cement, pipe insulation, fireproof drywall, lawn furniture and heat and fire resistant gaskets. It was once used in the braking systems of automobiles. One brand of cigarettes even used asbestos in their filters in the 1950’s! The danger of exposure to asbestos was being observed as early as in ancient Roman times. Through the Twentieth Century, information and research have increased our knowledge of the dangers of asbestos exposure enormously, leading eventually to passage of the Asbestos Ban and Phase Out Rule in the US in 1989, but which was overturned in 1991. However, the EPA does have very strict rules about asbestos exposure in the workplace. The new millennium began with possibly the worst asbestos-related disaster in history, the 9-11 attack on the World Trade Center. It is believed that over 1000 tons of asbestos were released into the air on that tragic day and has probably been the cause of many of the respiratory diseases in first responders, construction workers and others exposed to the air in the aftermath of the attack. Although employers are very careful today to follow EPA regulations regarding current exposure to asbestos, wrongful death lawsuits are many and growing from the years when asbestos was commonly encountered in the workplace. Fiberglass is the most common substance used as a replacement for asbestos in current construction for insulation. 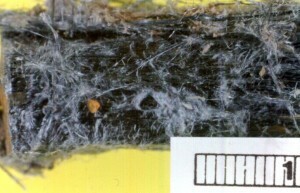 Other organic fibers and silica are also used for many of the products that used to contain asbestos. Asbestos is often found during renovation and reconstruction projects, as well as after natural disasters. Homeowners are not required to remove asbestos, but since exposure on even one occasion can cause disease, it is a good idea to have it removed once it has been exposed. If you are planning to sell your house, California law requires you to disclose the presence of asbestos to potential buyers. Commercial property owners are required to remove asbestos if it has become exposed or dangerous. If you need to remove asbestos safely, call a qualified, licensed asbestos abatement contractor like Alliance Environmental Group. We have the necessary knowledge, talent, experience and resources to solve your asbestos abatement challenges efficiently and safely. If you need asbestos abatement services for flooring, sheet goods, pipe insulation, siding, roofing, duct work, stucco, drywall, ceiling tile, popcorn ceiling, plaster, buttonboard, fireproofing and other products, we are here to help! Watch for more information about asbestos later this week!